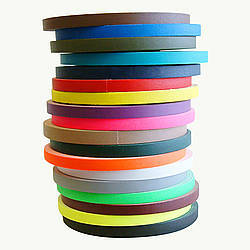 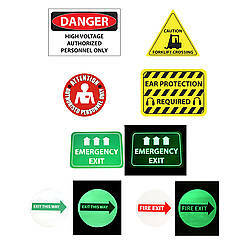 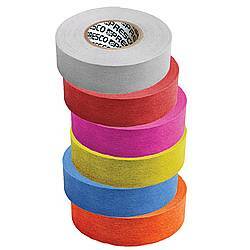 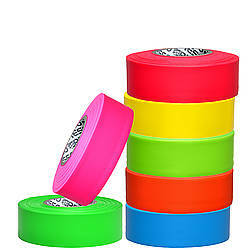 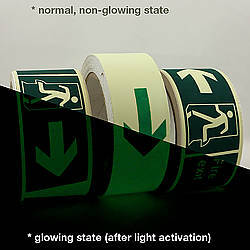 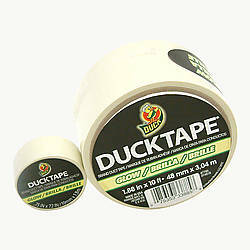 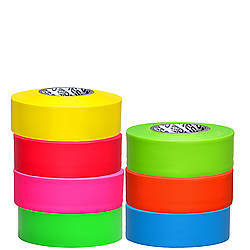 FindTape Glow in the Dark Directional Marking Tape is used to provide photoluminescent directional assistance in low light or no light situations (or during disasters like fire, earthquake, power failure, etc.). 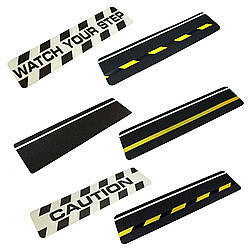 The repeating black arrow pattern along with its glow in the dark material allows safe passage to the nearest destination. 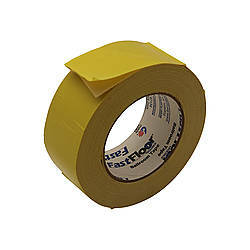 Whether it is used in corridors, hallways, passageways, or staircases, the overlay adds durability and stability that allows long-lasting use without losing its glow performance. 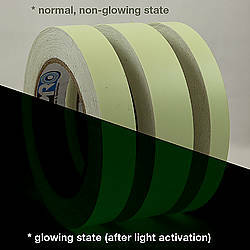 After application simply re-charge the tape by exposing it to any light source. 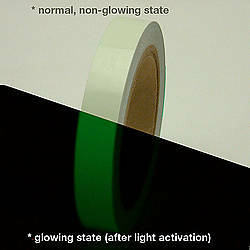 With sufficient charge, there will be 4-6 hours of photoluminescence. 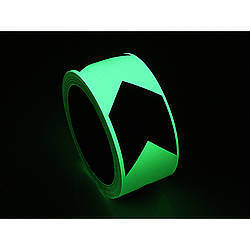 The glow directional marking tape is 11.8 millicandelas per m2 at five minutes, and glowness decreases to 4.6 millicandelas after 10 minutes. 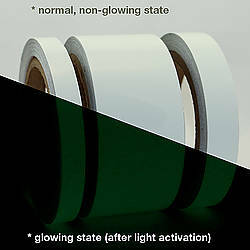 After 20 minutes they are 1.6 millicandelas but still clearly visible in a totally dark room to the night-adjusted eye. 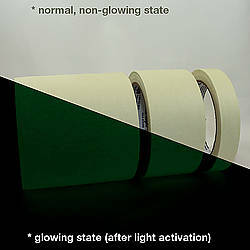 However, it would not compare in brightness to a standard flashlight. 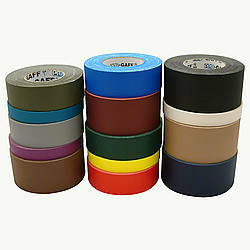 Thickness: 13 mils (carrier, adhesive, liner) 7.5 mils (carrier, adhesive) 5.5 mils (liner) What is mil thickness?